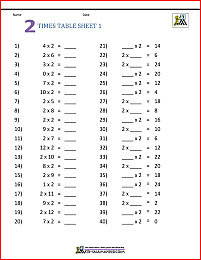 Welcome to the Math Salamanders Free 3rd Grade Math Worksheets Hub page. 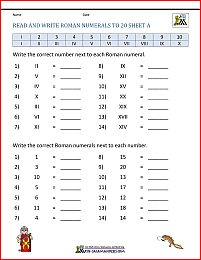 Here you will find our selection of printable 3rd grade math worksheets, for your child will enjoy. Take a look at our times table coloring pages, or maybe some of our fraction of shapes worksheets. 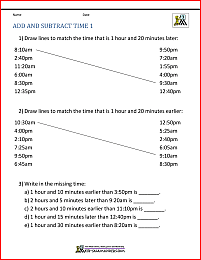 Perhaps you would prefer our time worksheets, or learning about line or block symmetry? At Third Grade, children enjoy exploring Math with fun Math activities and games. Children will enjoy completing these Math games and Free 3rd Grade Math worksheets whilst learning at the same time. During Third Grade, the Math work extends to place value up to 10,000. By the end of 3rd grade, most children should be able to add and subtract numbers to 100 mentally, know their multiplication tables up to 10 x 10, and make simple estimates. 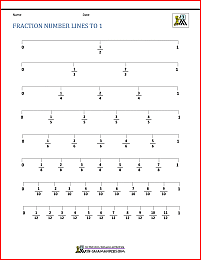 They are able to multiply and divide at a basic level, and can solve multiplication and division problems. They have also developed an understanding of negative numbers, and can find fractions of shapes and locate different fractions on a number line. These free printable Third Grade Math Games, and other free Grade 3 Math Worksheets will help your child to achieve their Elementary Math benchmark set out by Achieve, Inc. In the UK, 3rd Grade is equivalent to Year 4. 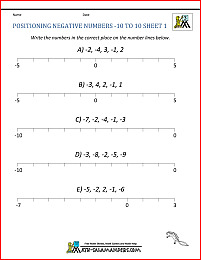 On this page you will find link to our range of math worksheets for 3rd grade. Here you will find a range of Free Printable 3rd Grade Place Value Worksheets. The following worksheets involve different Third Grade place value activities such as counting in thousands, hundreds, tens and ones, reading, writing and ordering numbers to 10,000, and know what number each digit represents. learn to use standard and expanded form with 4 digit numbers. This webpage contains our 3rd grade sequence worksheets. Each worksheets consists of a sequence which has been partially filled in. The rest of each sequence must be completed. At this grade, the focus is on counting on and back in constant steps of a digit. Here you will find a range of third grade math practice sheets to help your child learn to round numbers, work out inequalities and find multiples of a number. use multiples and apply them to solve problems. All the free 3rd grade math worksheets below support elementary math benchmarks. 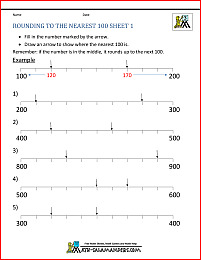 The worksheets on this page will help to develop children's knowledge of numbers bonds to 20, 50 and 100. There are a range of matching and wordsearches for children to enjoy whilst developing their number bond knowledge. 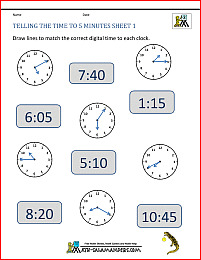 Here you will find a range of printable mental math 3rd grade quizzes for your child to enjoy. Each quiz tests the children on a range of math topics from number facts and mental arithmetic to geometry, fraction and measures questions. A great way to revise topics, or use as a weekly math quiz! Here you will find a range of Free Printable 3rd Grade Addition Worksheets. 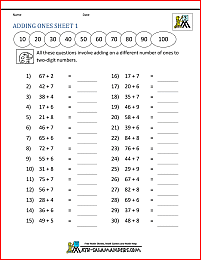 The following worksheets involve using the 3rd Grade Math skills of adding numbers, and solving addition problems. All the Free 3rd Grade Math Worksheets in this section are informed by the Elementary Math Benchmarks for Third Grade. Here you will find a range of Free Printable 3rd Grade Subtraction Worksheets. 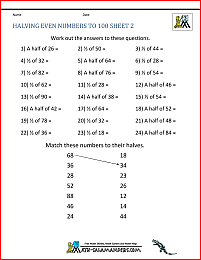 The following worksheets involve using the 3rd Grade Math skills of subtracting numbers, and solving subtraction problems. learn to do 4 Digit column subtraction. All the Free 3rd Grade Math Worksheets in this section follow the Elementary Math Benchmarks for Third Grade. 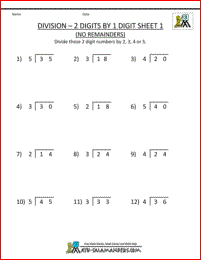 Here you will find a range of Free Printable 3rd Grade Multiplication Worksheets. 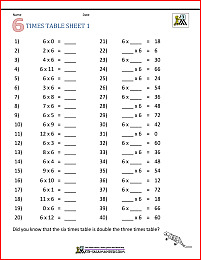 The following worksheets involve using the 3rd Grade Math skills of multiplying, and solving multiplication problems. solve a range of Third Grade Multiplication problems. All the free 3rd Grade Math Worksheets in this section are informed by the Elementary Math Benchmarks for 3rd Grade. Choose how big you want the numbers to go - up to 5 times, 10 times or bigger! Choose how many questions per page. 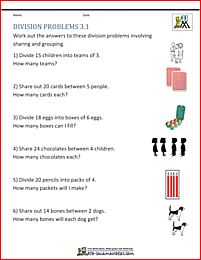 Here you will find a range of Free Printable 3rd Grade Division Worksheets. 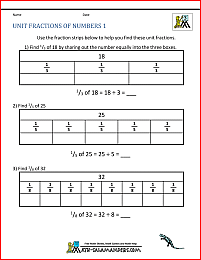 The following worksheets involve using the 3rd Grade Math skills of dividing, and solving division problems. begin to learn 2 digit by 1 digit long division. Here are a range of problems solving sheets for 3rd graders. Most of the sheets contain 'real-life' problems which involve real data. solve a range of 'real life' problems. All the 3rd grade sheets in this section support Elementary math benchmarks. These sheets involve solving one or two more challenging longer problems. These sheets involve solving many 'real-life' problems involving data. These sheets involve solving a range of multiplciation problems. These sheets involve solving a range of division problems. 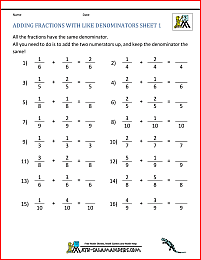 Here you will find a range of free printable 3rd Grade Fraction Worksheets. work out unit fractions of numbers. All the Third Grade Math Worksheets in this section follow the Elementary Math Benchmarks for Third Grade. 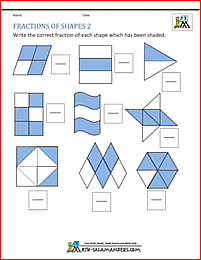 Here you will find a range of free printable 3rd Grade Geometry Worksheets. At a Third Grade level, children are introduced to a wider range of two-dimensional shapes, and start to learn to reflect, flip and rotate shapes. They are able to classify and sort two-dimensional shapes using different criteria, and know some of the properties of three-dimensional shapes. Use reflective symmetry to reflect shapes in a mirror line. 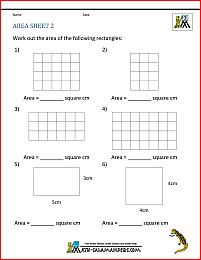 recognise nets for 3d shapes. All the free Math sheets in this section are informed by the Elementary Math Benchmarks for Third Grade. 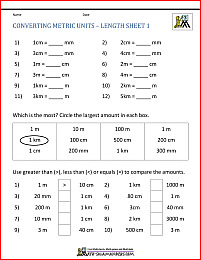 Here is our selection of measurement worksheets for 3rd graders. These sheets involve converting customary units of measure and also reading scales going up in halves, ones, fives, tens, fifties and hundreds to find the length, weight or liquid capacity. Using these sheets will help children to consolidate their counting and place value as well as learning to read and estimate using a simple scale. 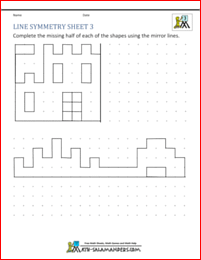 Here you will find a range of free printable 3rd Grade Area and Perimeter Worksheets. At a Third Grade level, children are introduced to area and perimeter with simple rectangular shapes. learn how to find the area and perimeter of rectangles. All the free math work sheets in this section support Elementary Math benchmarks. On this webpage, you will find our 3rd grade Money Challenges. These challenges involve solving money problems and are a great way for kids to develop their reasoning skills and practice their counting money at the same time. 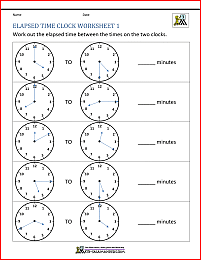 add and subtract time intervals from times and work out time intervals. 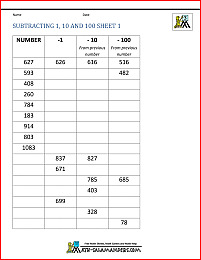 Here is our selection of 3rd grade statistics worksheets. We have a wide selection of bar graph, line graph and venn diagram worksheets designed for 3rd graders. At a 3rd grade level, the bar graphs are now showing a range of different scales such as 2s, 5s, 10s, 100s. We also introduce line graphs and answer simple questions about their data. The pictograms are becoming more complex with each symbol representing more than one unit. The questions are more varied, asking how many more, or how many less, the total of several bars combined. The interpretation of the graph is becoming more difficult than at 2nd grade. On this page there are a selection of bar and picture graphs, including bar graphs with real-life data such as tree heights. Here you will find a range of free printable Third Grade Math games. All children like to play Math games, and you will find a good range of 3rd Grade Math Games here for your child to play and enjoy. The following games involve different Third Grade Math activities which you and your child can enjoy together. All the free Third Grade Math sheets in this section are informed by the Elementary Math Benchmarks for Third Grade. 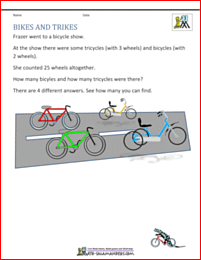 Here you will find a range of printable 3rd grade math puzzles for your child to enjoy. The puzzles will help your child practice and apply their addition, subtraction and multiplication facts as well as developing their thinking and reasoning skills in a fun and engaging way. develop problem solving skills and reasoning. Is your child stuck with a particular area or concept and you are looking for help? Do you want to support your child with their math work and not know where to start? Looking for some supportive advice and help? Come to our friendly 3rd grade math help page!